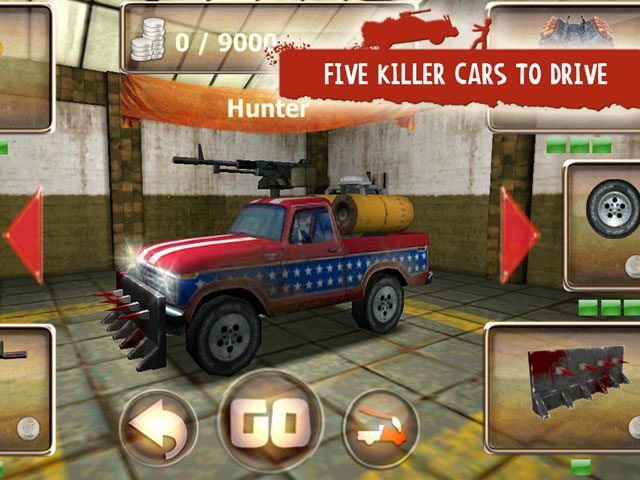 Americans have two favourite things; cars and guns. And no stinking zombie apocalypse is going to change that. 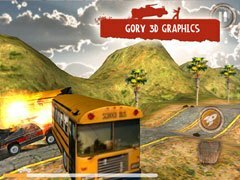 Take control of your car to see how far you can get and how many zombies you can kill – and if you can actually escape with your brains intact. Four cars are available to get you to the final fort, each capable of holding progressively more loot. 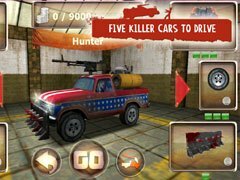 Ranging from the simple Redneck pick-up and the classy Hunter and to the tough Sledge and frankly-silly Harvester, you’ll enjoy throwing these bodged-up jalopies at the lines of the undead. 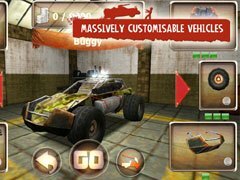 Each is highly customisable, with 15 upgrades including spiked bumpers, improved tyres, buffed engines, and more ammo, fuel and nitros.With three locations to traverse, handsome 3D graphics and gory shambling bodies, Zombie Derby is a killer game. How far can you get before they get YOU?